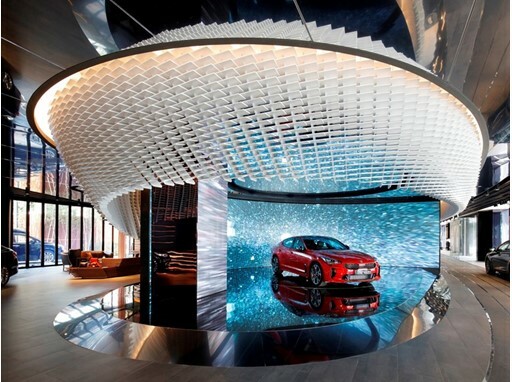 BEAT 360 is Kia’s first brand experience space. Opened in June 2017, it offers a unique insight into the Kia brand philosophy. It houses a café, gareden, and salon in a building covering more than 1,900 square meters, all of which communicate something about Kia Motors. There are three themed spaces connected by a ’K-Monument’ and a circular track, which allows visitors to explore Kia cars. The venue is home to Kia launch events, as well as cultural and arts initiatives, offering consumers the chance to enrich their lives, and learn a little more about the Kia brand. BEAT 360 has welcomed over 130,000 visitors since opening. IDEA is operated by the Industrial Design Association of America and is one of the most prestigious and rigorous design competitions in the world, sitting alongside the ’iF Design’ and ’Red Dot’ awards – all of which are selected by global design experts based on design innovation, user experience, and social responsibility.